Today, Elka Suspension is a successful company and yet remains true to its roots: designing and manufacturing of high-quality suspension components that address the specific needs of each customer. 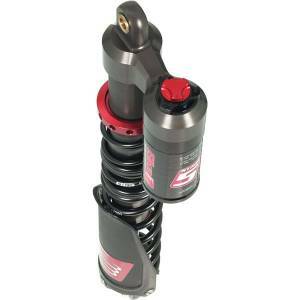 Elka ATV Legacy "PLUS" Series Front and Rear Reservoir Shock Package FREE 2-DAY SHIPPING! Elka ATV Legacy PLUS Series Front or Rear Reservoir Shock Set FREE 2-DAY SHIPPING! Elka ATV Legacy Series Front and Rear Reservoir Shock Package FREE 2-DAY SHIPPING! Elka ATV Legacy Series Front or Rear Reservoir Shock Set FREE 2-DAY SHIPPING! Elka ATV Stage 1 Non-Reservoir Front or Rear Shocks FREE 2-DAY SHIPPING! Elka ATV Stage 2 Non-Reservoir Front or Rear Shocks FREE 2-DAY SHIPPING! Elka ATV Stage 3 Reservoir Front or Rear Shocks (PAIR) - ALL NEW! Elka ATV Stage 4 Reservoir Front Shocks - ALL NEW! 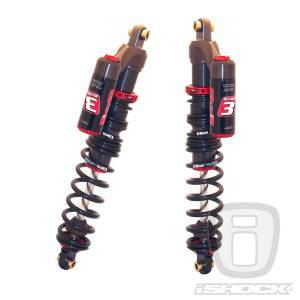 Elka UTV Stage 1 Shocks (PAIR) FREE 2-DAY SHIPPING! 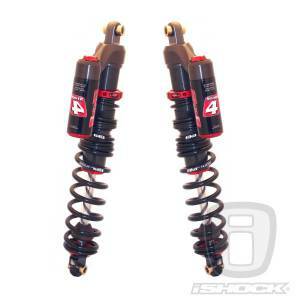 Elka UTV Stage 1 Shocks - 4 Pack Special FREE 2-DAY SHIPPING! Elka UTV Stage 2 Internal Reservoir Shocks (PAIR) FREE 2 DAY SHIPPING! Elka UTV Stage 2 Internal Reservoir Shocks - 4 Pack Special FREE 2 DAY SHIPPING! Elka UTV Stage 3 Reservoir Shocks (PAIR) FREE 2-DAY SHIPPING! Elka UTV Stage 3 Reservoir Shocks 4 Pack FREE 2-DAY SHIPPING! Elka UTV Stage 4 Reservoir Shocks (PAIR) FREE 2-DAY SHIPPING! Elka UTV Stage 4 Reservoir Shocks 4 Pack FREE 2-DAY SHIPPING! Elka UTV Stage 5 Reservoir Shocks (PAIR) FREE 2-DAY SHIPPING! Elka UTV Stage 5 Reservoir Shocks 4 Pack FREE 2-DAY SHIPPING!